The islands of Hawaii offer a variety of Hawaii timeshare vacation experiences and vacation opportunities as each of the Hawaiian Islands has its own distinct island flavor and personality. 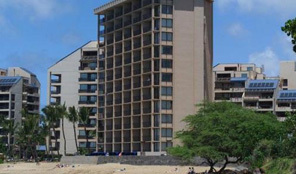 Purchasing a name brand time share such as a Hilton timeshare, Marriott timeshare, Westin Starwood timeshare and Wyndham timeshare should be taken into consideration when purchasing Hawaii time shares for sale as name brand properties have a higher standard of excellence. FYI: The 10.25% Transient Accommodation Tax (TAT) (which is paid at the time of check-out) has been extended to December 31, 2030. 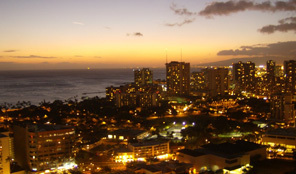 There are Hawaii timeshares available on almost all the Hawaiian Islands. 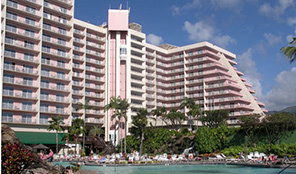 It’s up to you – you can choose from an Oahu timeshare, a Maui timeshare, a Kauai timeshare or a Big Island timeshare. Each of the islands offer their own unique island paradise and Aloha experience. On the pages of each island listing below you will find a description of what there is to do and see while on that particular Island and a listing of the Hawaii time share resales that are currently available which include the name brands of Hilton timeshare, Marriott timeshare, Westin Starwood timeshare and Wyndham timeshare. Buying a Hawaii timeshare on the secondary market is much less expensive than purchasing direct from the developer because of the fact that the developer incurs marketing costs that are passed on to the consumer. It is the developer who sets the price on the retail market. On the secondary market of timeshare, prices are determined by individuals and current market conditions. A timeshare interval should be purchased for enjoyment. The purchase of a Hawaii timeshare ensures that you will be able to vacation and spend quality time with your family and friends each year. You might want to think of it as vacation insurance for all your future vacations! As the saying goes, “Maui No Ka Oi” – which translates to – Maui is the best. 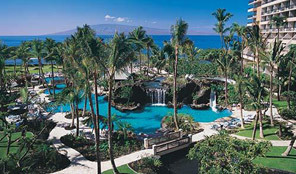 For over 17 years Maui has been voted “Best Island” by Conde Nast Traveler Magazine. There really is no place like Maui to enjoy a tropical escape any time of the year. Maui is one of the few places on earth where you can enjoy sweeping mountain vistas and palm trees swaying on white, sandy beaches just a few miles apart. 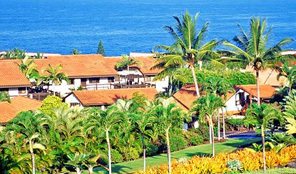 Lahaina area: The Lahaina area features not only some of the most beautiful timeshares in Hawaii but in the world! Timeshares include name brands such as Westin timeshare, Marriott timeshare and Diamond timeshare and several non-name brand timeshares. The Westin timeshare resales at Westin Kaanapali Resort consists of the two phases of Westin Kaanapali Ocean Resort Villas and Westin Kaanapali Ocean Resort Villas North basically the south villas and the north villas and are located about a mile from Whaler’s Village shopping center. These Westin timeshares are a purpose built timeshare with full kitchens and washers and dryers in all units in both phases of the Westin timeshares. 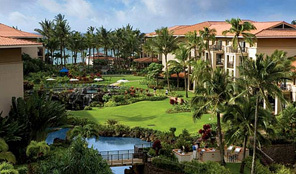 The Marriott timeshares at Marriott Maui Ocean Club and Marriott Maui Ocean Club Lahaina and Napili Towers also consist of two phases – the Marriott Maui Ocean Club is the original phase which is the hotel conversion phase. This phase of the Marriott timeshare resale has partial kitchens in the rooms and washers and dryers are on the premises, they are not located in the units. The Marriott timeshare suites are delightfully spacious, giving you ample living and dining space for the whole family. 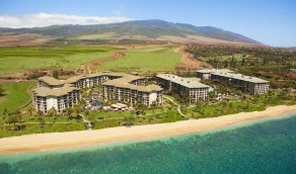 The new phase of this beautiful Marriott timeshare consists of the towers Lahaina and Napili Villas. The well appointed villas at this Maui timeshare resale resort offer plenty of space and conveniences, including a gourmet kitchen center and private lanais with stunning island views and washers and dryers in the living room. Kaanapali Beach Club is a Maui timeshare resale located right on the beach at the north end of Maui’s world-famous Kaanapali Beach and is only five miles from the old whaling capital of Lahaina. 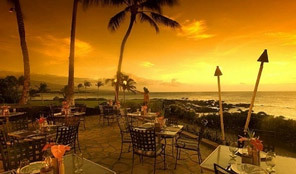 The Maui timeshare resort also offers a variety of on-site dining choices. Each of the one and two bedroom units at this Maui timeshare resale resort offers a spacious lanai to enjoy the magnificent sunsets and to view the whales during season. Within minutes of the Maui timeshare resort, you will find five championship golf courses, tennis facilities, and international shopping retailers. 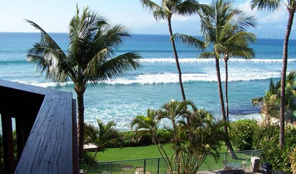 Sands of Kahana is located in a prime location on the beach in Kahana. The spacious one, two, and three-bedroom villas at the Maui timeshare re sale resort are beautifully appointed by a professional designer and is within a 10-minute drive of five championship golf courses, which host two PGA pro tournaments each year and are open to the public. Kahana Falls is set in the charming town of Lahaina and offers beauty, comfort and a tropical escape for all who visit the exhilarating island of Maui. 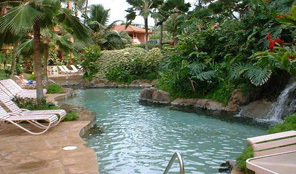 Take a dip in the free-form swimming pool at and enjoy the peaceful sound of the waterfalls or warm up in the sandy-bottomed whirlpool after a great workout in the fitness center at this Maui timeshare resort. Kahana Beach Club is located on the beach in Kahana and features scenic views of the islands of Molokai and Lanai and beautifully appointed one, two and three bedroom villas. 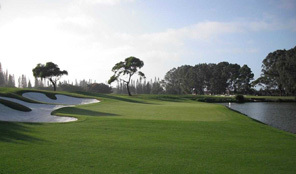 The Maui timeshare re-sale resort is conveniently located within a 10 minute drive of four championship golf courses, which host two PGA tournaments each year and are open to the public. 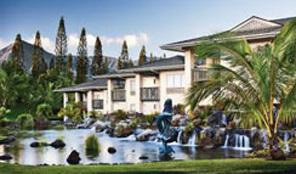 Hono Koa is a contemporary Maui timeshare resort located on the world famous West Coast of Maui. The Maui timeshare features spacious and luxuriously decorated two bedroom, two bathroom condominiums located on the ocean between Ka’anapali and Kapalua. One Napili Way is a Maui timeshare located just a two minute stroll from one of Maui’s finest sand beaches – Napili Bay where breakfast lunch and dinner are available beachside and championship golf and tennis are located just one-half mile away at Kapalua. 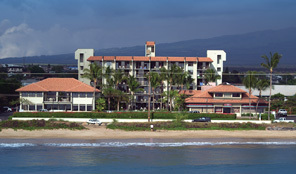 The Maui timeshare resort features one, two and three bedroom timeshare units. 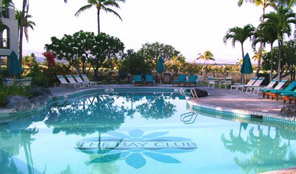 The Kulena Club is a Maui timeshare resale located north of Lahaina and boasts a truly remarkable oceanfront location, on West Maui’s pristine coastline, with a gorgeous panoramic view of the Pacific ocean and the nearby islands of Molokai and Lanai. 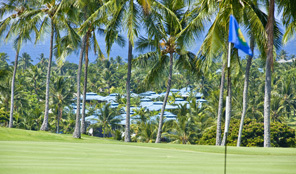 Five championship golf courses are within a few miles of the Hawaii timeshare resort. 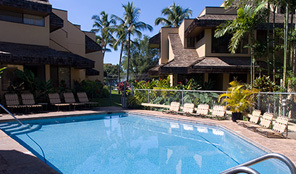 Kamaole Beach Club is a Maui time share resale located in South Kihei across from Kamaole Beach One. Units consist of one bedroom, one bath, two bedroom, two bath townhouses and two bedroom, two bath loft units with views of Haleakala crater, West Maui mountains, the islands of Lanai and Kahoolawe and the Pacific Ocean. Maui Beach Vacation Club is situated on the southwest coast of Maui in Kihei and offers tastefully decorated one and two bedroom suites. 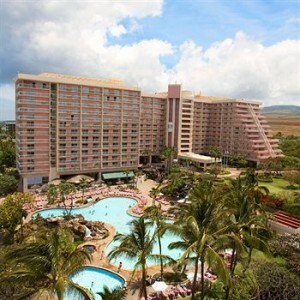 The Maui timeshare resort is conveniently located near numerous shopping centers, golf courses and all water activities. Maui Schooner is located on Maui’s southwest shore, is the setting for this contemporary oceanfront resort with sprawling lawns leading to the tennis courts and the central courtyard where guests find a pool, spa, and shuffleboard. 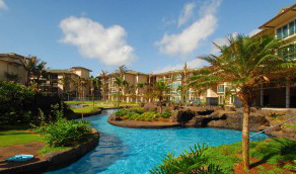 Relax in a spacious one, two or three bedroom suite at the Maui timeshare resort. Hilton timeshare resales Each of the following Hilton time share resales are located in the Hilton Hawaiian Village amidst a setting of breathtaking and stunning natural wonders and is a destination unto itself. 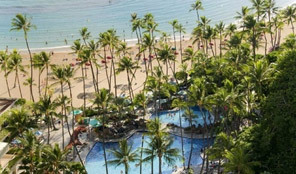 Each of the Hilton time share resales are ideally situated within the 22-acres of Hilton Hawaiian Village Waikiki Beach Resort which features a 5,000-square-foot family activity pool that boasts the longest slide in Waikiki and overlooks the landmark Duke Kahanamoku Lagoon. Hilton Grand Vacations Club at Hilton Hawaiian Village Kalia Tower is an alluring Oahu timeshare getaway that occupies floors 12 through 18 and delivers the best of Waikiki with cozy studios and spacious one bedroom suites with private lanais, fully equipped kitchens and a washer and dryer on each floor. 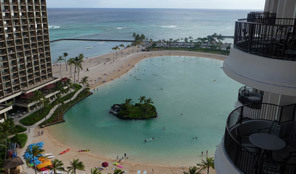 Hilton Grand Vacations Club at Hilton Hawaiian Village Lagoon Tower gives guests ideal access to the best stretch of Waikiki’s famous white-sand beach and the extensive entertainment, shopping and dining options within the renowned Hilton Hawaiian Village. Accommodations at this Hilton time share resale include cozy studios and spacious one bedroom suites with private lanais and a washer and dryer on each floor. Each suite at the Oahu timeshare features a fully equipped kitchen. 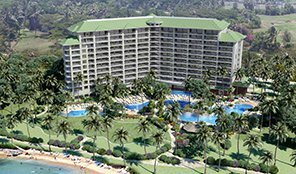 Hilton Grand Vacations Club at The Grand Waikikian – The 38-story tower of this Hilton timeshare resale heralds a new era of elegance in the oceanfront paradise of Waikiki, a destination of romance and dreams, of cultures and cuisines. The luxurious Hilton timeshare accommodations consist of one, two and three bedroom suites with private balconies, a fully equipped kitchen and washer and dryer in each unit. 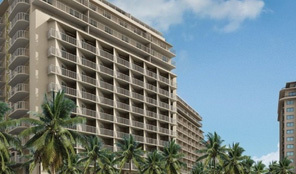 Wyndham Waikiki Beach Walk in Waikiki is located within 7.7 acres of Outrigger’s huge Waikiki Beach Walk project. This beautiful Wyndham timeshare resale is the first branded Waikiki property and includes specialty island shopping, outstanding cuisine and live entertainment just steps away and only one block from world famous Waikiki Beach. Accommodations at this Wyndham timeshare resale are made up of one, two, three and four bedroom floor plans, all with a washer and dryer in unit and most with full kitchens. 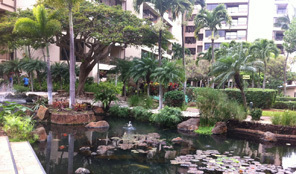 Lifetime in Hawaii in Waikiki is located in the Royal Kuhio building situated in the heart of Waikiki. 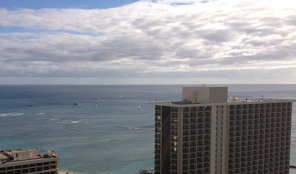 This Oahu timeshare resale is made up of 39 timeshare units and a Resort Office located on the 16th, 22nd, 23rd, 26th and 27th floors of the building which offer spectacular views of Waikiki Beach, Diamond Head and the surrounding mountain vistas and the city lights of Honolulu. The Oahu timeshare resort is a non-smoking facility. Units have a maximum occupancy of four and privacy for two. The units have a queen bed, queen sleeper sofa and one bath with a walk-in shower. 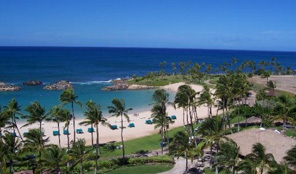 Marriott timeshare at Marriott Ko Olina Beach Club is located only 18 miles from Honolulu, this Oahu timeshare resale is set on a secluded beachfront oasis and is nestled within Ko Olina Resort & Marina, a lush 640-acre gated community where seven crystal-clear lagoons shimmer. 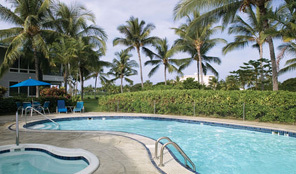 The spacious two bedroom, two bath villas at the Oahu timeshare resort make every vacation a pleasure. You’ll enjoy an enticing array of on-site amenities, plus access to some of the luxurious amenities at the JW Marriott Ihilani® Resort & Spa. Disney timeshare at Aulani Disney Vacation Club resort is an Oahu timeshare perfectly positioned on 21 acres of Ko Olina beachfront on the western shore of O‘ahu. The beautiful Oahu time share resales resort is a part of the Ko Olina Resort Community and Marina which features a championship golf course, shopping, sports fishing and is just a short drive from all the action and activity of Waikiki! Aulani Disney timeshare owners can choose from luxuriously appointed studios, one or two bedroom villas, or three bedroom Grand Villas. Each villa at Disney’s Resort Aulani offers spacious apartment like settings with outstanding amenities. Kauai is Hawaii’s fourth largest island and is known as the “Garden Isle” and features the name brand timeshares of Westin timeshare, Marriott timeshare, Wyndham timeshare and several non-name brand timeshares around the island. Westin Princeville Ocean Resort Villas is a Westin timeshare stretching along a stunning bluff on the north shore of Kaua‘i, two hundred feet above the Pacific Ocean. 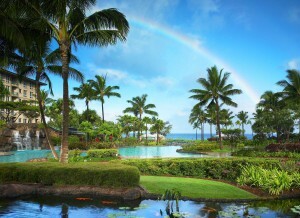 The AAA Four Diamond-rated Westin timeshare resort looks out beyond the cliffs to infinity, where every sunset is flawless and every sunrise a moment to remember on the Garden Isle. All the Westin time share resales two bedroom premium lock-off villas, one bedroom premium villas and studio premium villas include the Westin signature Heavenly Bed and Heavenly Bath which Westin has become famous for! Marriott Kauai Beach Club is a Marriott time share resales resort located on the beautiful southern coastline of Kauai among 51 lush, tropical acres which provide the backdrop for this Kauai timeshare resort that features spacious one and two-bedroom villas, and the Kauai Marriott Resort & Beach Club, a full-service luxury hotel and spa. Marriott Waiohai Beach Club is a Marriott time share resales resort stretched along sunny Poipu Beach on the south shore of the island, an area known for its distinctive and pristine beauty. 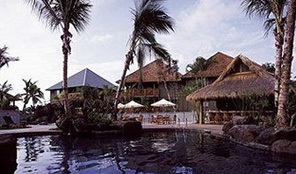 The luxurious Marriott timeshare resales two bedroom, two bath villas include a washer and dryer in each villa. Guests rave that the Marriott timeshare resort has the best beach location and comment on how they enjoy watching the sunsets from their private lanais. Wyndham Bali Hai Villas is a Kauai time share resales nestled high on a cliff in Princeville on the north shore and enjoys sweeping vistas that range from views of the lush green mountains of the Hanalei Valley to an ocean panorama that stretches from Bali Hai to historic Kilauea Crater. All one, two and three bedroom units at this Hawaii timeshare resale resort feature rattan décor with elegant furnishings including all the modern conveniences you expect. Wyndham Kauai Beach Villas is located just north of Lihue, the island’s largest city and sits directly on the magnificent “Coconut Coast” shoreline. The golfer in the family will enjoy the convenience of teeing off at the Wailua Golf Course located next door – not to mention the very reasonable greens fees! The spacious one and two bedroom units at this Hawaii time share resale are set among exotic flowers and fruit trees and tropical man-made lagoon where you’ll enjoy watching the swans, ducks and tropical fish swim by. 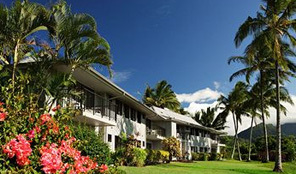 Wyndham Ka Eo Kai is another Kauai timeshare re-sales resort located just past the entrance to Princeville and perfectly captures the true essence of the “Garden Isle” of Kauai. If there is a golfer in the family, this Hawaii timeshare resale resort offers the best of all worlds with the resort being located alongside the Lake Nine section of the world renowned Makai Golf Course. The Wyndham timeshare accommodations are made up of studios, one bedroom and one bath and two bedroom, two bath suites. Wyndham Makai Club is one of the more secluded Kauai timeshares as it is situated on the sloping hillside along the 27-hole Makai Golf Course in Princeville. The breezy one bedroom units at this Wyndham timeshare are furnished in traditional rain-forest rattan with spacious outdoor lanais that offer expansive views of the golf course and lush Hanalei scenery. Wyndham Shearwater offers stunning ocean views from every unit at this Wyndham time share resales and all the benefits of Kauai’s magnificent North Shore. Perched high upon a bluff overlooking pristine Anini Bay, the Wyndham timeshare resort offers panoramic views, an elegant clubhouse and two Robert Trent Jones, Jr. golf courses just blocks away. The two and three bedroom villas at this magnificent Kauai timeshare resale accommodate up to six or eight guests and are tastefully decorated in plantation style rattan with luxurious touches like private whirlpool tubs and Corian countertops in both master baths. 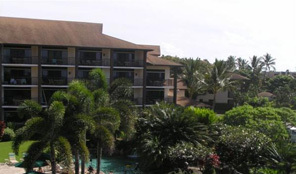 Alii Kai, a Kauai timeshare located in the acclaimed Princeville community, is a member of RCI and is close to golf courses, tennis courts, the beach, and an assortment of excellent shops, restaurants, and night spots. 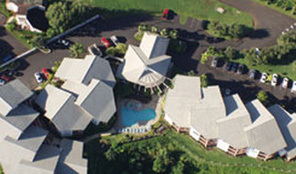 All two bedroom, two bath condo units at the Kauai timeshare are non-smoking and have a washer and dryer in each unit. 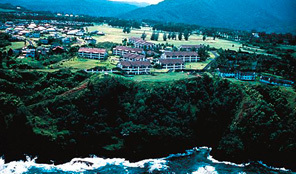 The Cliffs at Princeville is a Kauai timeshare resale resort that lies within the Princeville Resort on 22 lushly landscaped acres high on a bluff overlooking the north Pacific. Accommodations at this Hawaii timeshare include one bedroom suites, one bedroom suites with a loft and four bedroom suites. On site, you’ll find an outdoor pool and four tennis courts. In addition, you will have access to all of the facilities in the Princeville complex. 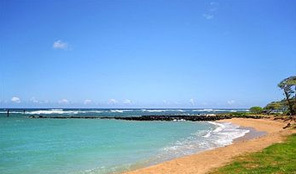 Lawaii Beach Resort is a Kauai timeshare set on 7 acres in the Poipu Beach area overlooking one of the best snorkeling and surfing spots on Kauai. The spacious one and two bedroom units at this Kauai timeshare feature ocean, garden, pool and partial ocean views from lanais (balconies). Three outdoor pools with whirlpool and barbecue grills at each poolside, tennis courts, and a recreation center with fitness equipment will keep you as busy and entertained as you choose to be. 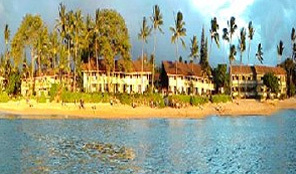 Pono Kai Resort is a Kauai timeshare situated on 12 beachfront acres in the quaint town of Kapaa. 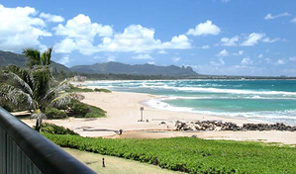 Facing a mile-long beach and readily accessible to numerous shopping and dining opportunities along East Kauai’s Royal Coconut Coast, Pono Kai Resort offers a variety of recreational opportunities in addition to the beach. 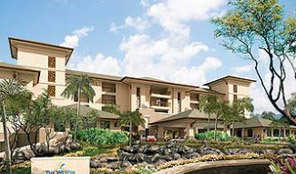 Big Island Timeshare ResalesThe Big Island of Hawaii is not only big in size – it’s big in fun, too. Hawaii, the Big Island, offers a tropical adventure, retreat and paradise all rolled up into one great place to vacation! There’s never a shortage of things to do on the Big Island of Hawaii. 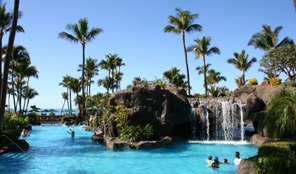 There are several Hawaii time share resales of non-name brand timeshares along with the name brand of Hilton timeshare and Wyndham timeshare. The Bay Club at Waikoloa Beach Resort features expansive views, spacious and luxurious one and two bedroom suites with private lanais, a fully equipped kitchen and washer and dryer in each villa. The Hilton timeshare is located in close proximity to the renowned dining, retail and entertainment venues at The Kings’ Shops and Queens’ MarketPlace. 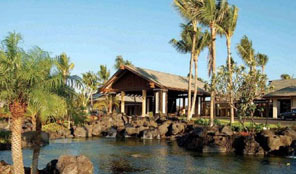 Hilton Grand Vacations Club at Waikoloa Beach Resort is located on the beach front of the 10-acre Hilton Waikoloa Resort and superbly situated adjacent to championship golf courses. This Hilton timeshare resale features spacious and sophisticated two bedroom suites in a casually elegant and tropical style. 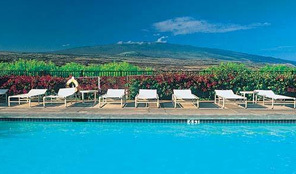 Hilton Grand Vacations Club at Kings’ Land is a Hilton time share resale set on the famed Kohala Coast and offers spacious one, two and three bedroom villas with expansive fairway views and stunning Waikoloa panoramas. 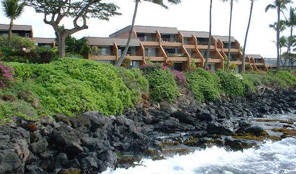 This beautiful Hawaii timeshare is carved out of an ancient lava field in a 112 acre oasis and occupies a superb location directly between two of Hawaii’s finest golf courses, the Kings’ Course and the Beach Course. 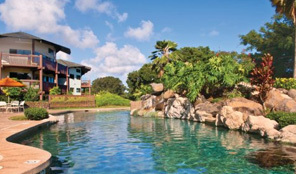 Wyndham Kona Hawaiian Resort is a Wyndham timeshare themed purpose-built resort which replicates an 1880 Hawaiian village with many archaeological sites on the property. 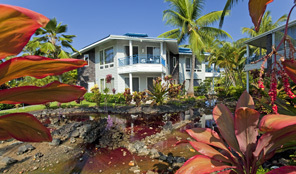 The Wyndham timeshare offers well appointed two bedroom, two bath suites are furnished in traditional Hawaiian décor. 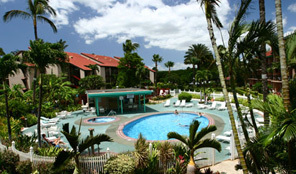 Wyndham Mauna Loa Village is a Wyndham timeshare located in Kailua-Kona adjacent to the Kona Country Club providing a quiet oasis set away from the hustle and bustle of town and offers exceptional tennis facilities. Wyndham timeshare owners enjoy the location of these spacious and tastefully decorated one and two bedroom units and the beautifully landscaped resort grounds. Holua Resort at Mauna Loa is located in Kona next to the 36-hole Kona Country Club and the white sands of Kahaluu Beach Park. This Hawaii time share resale resort features a collection of spacious and luxurious one and two bedroom villas which are beautifully appointed in the Hawaiian style with private lanais or patios showcasing scenic vistas of the ocean, mountains or the golf course. Kona Coast Resort is where you will find yourself immersed in the natural beauty of the Big Island and surrounded by ocean vistas and lush, green mountains. The Hawaii timeshare at Kona Coast Resort offers a collection of spacious, one and two bedroom fully furnished villas tastefully appointed in Hawaiian décor, and equipped with full kitchens and private lanais. Paniolo Greens is a short distance from the Parker Ranch, championship golf courses and the world famous white sands of Hapuna Beach. 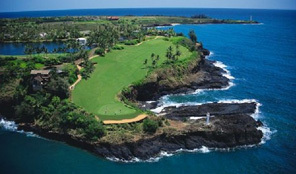 In addition, the Hawaii timeshare at Paniolo Greens offers special golf privileges at Waikoloa Golf Club. The spacious two bedroom villas at this Hawaii timeshare resales are tastefully decorated with such features as fully equipped kitchens and private lanais where you can enjoy the cool breezes and warm Hawaiian sun. What Hilton Grand Vacations Club benefits are available when you buy a resale. Buying a Hawaii timeshare resale on the secondary market is much less expensive than purchasing direct from the developer because of the fact that the developer incurs marketing costs that are passed on to the consumer. It is the developer who sets the price on the retail market. On the secondary market of timeshare resale, prices are determined by individuals and current market conditions. A timeshare interval should be purchased for enjoyment. The purchase of a Hawaii timeshare resale ensures that you will be able to vacation and spend quality time with your family and friends each year. You might want to think of it as vacation insurance for all your future vacations!